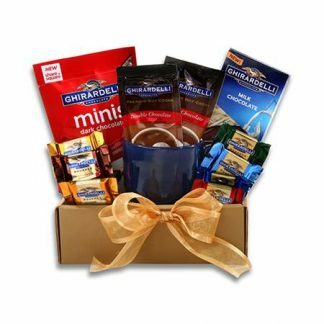 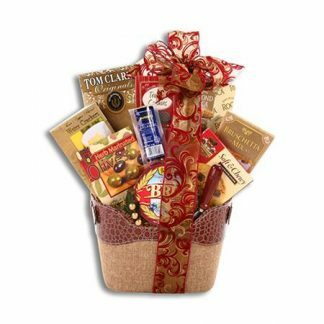 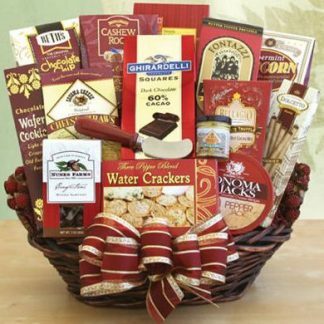 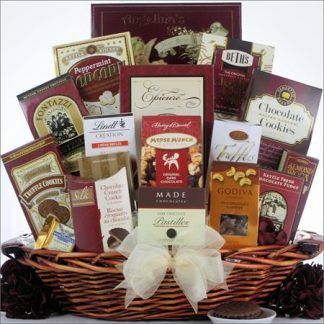 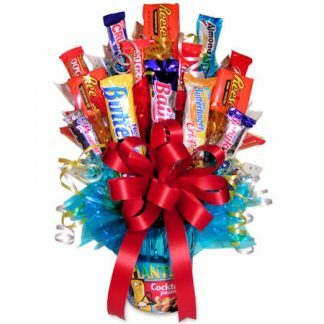 This deluxe gift basket is big enough for a crowd! This delicious gift basket contains Ghirardelli dark chocolate squares, Sonoma cheese straws, Napa Valley mini mustard, mocha almonds, water crackers, cheese, Dolcetto cookies, hot cocoa mix, chocolate wafer cookies, chocolate chip cookies, Cashew Roca, butter toffee pretzels, English tea cookies, peppermint popcorn and a wooden cheese knife. 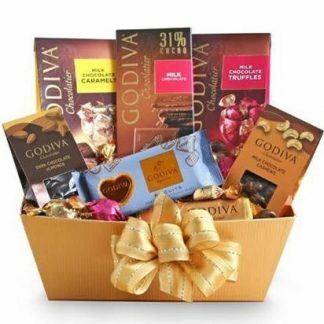 You’ll receive kudos from the entire crew!